This entry was posted in Outside of Kathmandu, Religion and tagged Bhuttwal, Buddhism, Hinduism, Lumbini, Palpa, Siddhartha by nepali jiwan. Bookmark the permalink. Mainstream Hinduism considers the Buddha the 9th avatar of Vishnu. And many Hindus do keep pictures and idols of the buddha in their house. since they fear the alternative of conversion to islam or christianity. 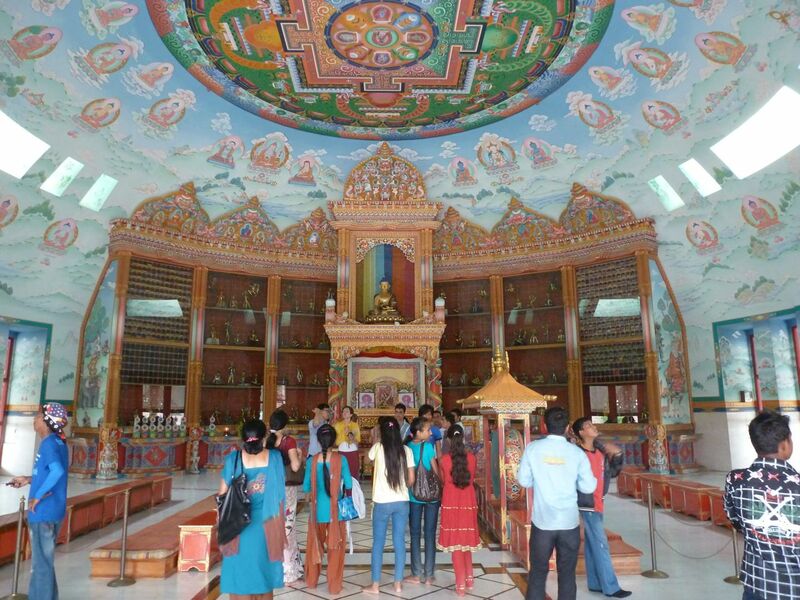 Many of these neo-buddhists often keep pictures of Hindu gods in their houses. The relationship between buddhists and hindus is often not a happy one. Buddhists of Bhutan, ethnic cleansed Nepalese Hindus, just a few years ago. And in Myanmar and Sri Lanka, buddhist monks have led mobs attacking Hindu civilians. In 1810, the Myanmar buddhists invaded Assam in north east India, and tried a forcible conversion campaign against the local Hindus. In Nepal, during the monarchy, every so often. a buddhist would get arrested for killing and eating cows, During the monarchy, there were often protest movements by buddhists because Nepal was a Hindu kingdom and not a secular govt. You’re right, the relationship between Hindus and Buddhists isn’t always a happy one, but I’ve always found it interesting that the line between buddhism and Hinduism is not always so defined. Many gods and goddesses are shared between Hinduism and its daughter religions. The key difference is celibate priests and nuns in Buddhism and the organised nature of the Buddhist priesthood, vs the disorganised and hereditary brahmin Hindu priests. Before the Buddha, Hinduism consisted of fire rituals where sanskrit mantras were chanted and goats sacrificed and brahmins ate goats regularly and were not-vegetarian like these days. 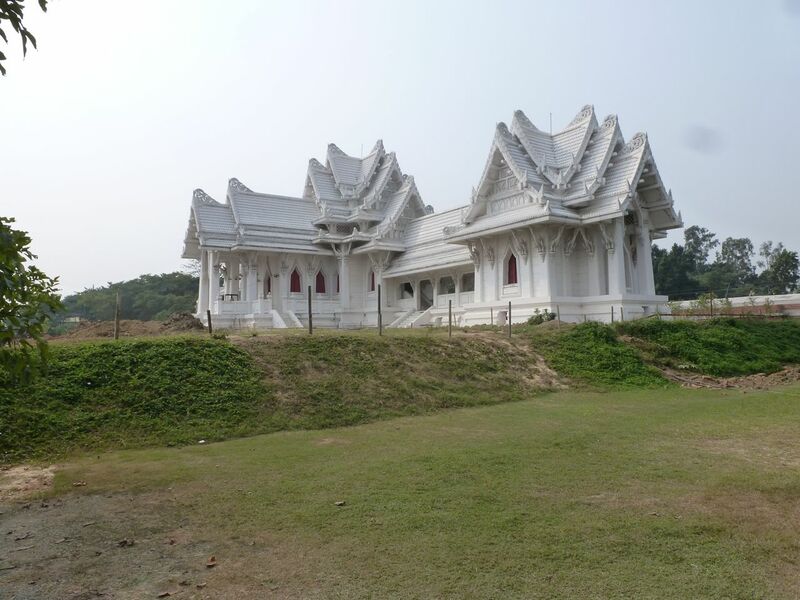 Buddhist missionaries were also sent to the middle-east and had an influence on Christianity. These are absent in both Hinduism and Judaism. Although Barlaam was never formally canonized, Josaphat was, and they were included in earlier editions of the Roman Martyrology (feast day 27 November) — though not in the Roman Missal — and in the Eastern Orthodox Church liturgical calendar (26 August in Greek tradition etc / 19 November in Russian tradition). Conversion to Buddhism, Sikhism or Jainism does not result in being outcasted. Please provide citations for your statement. You do not know much about Nepal and Nepalese culture or history so please stop trying to mislead people by providing false information. Just because something is a case in India doesn’t mean it is the same in Nepal. The same rules, reasons, or observations don’t apply to Nepal. India and Nepal have very different environment, situations and circumstances. I had the same feeling when I was in Lumbini. I mean I saw there so many Nepali peoples they look like a Indian peoples. Hermann Hesse is a german writer, I had read his book…Steppenwolf, till now I havent know that he wrote a book about buddha. Thanks for you acvice, I will to buy me that book. Yes I had made the same expiriences, buddhism and hinduism its little bit like one religions in Nepal. The family of my boyfriend are hindus , but they celebrate sometimes buddhism religion too. Spcially my boyfriend, he feel attracted to buddhism more. I think Nepal is a good example in the world, that living two relgions togehter so peacefully. When you was in Agra did you saw the Taj Mahal? I m sure you saw. 4 years ago I was there also and I told my boyfriend about that amazing beautiful Taj. One time we want go there together. 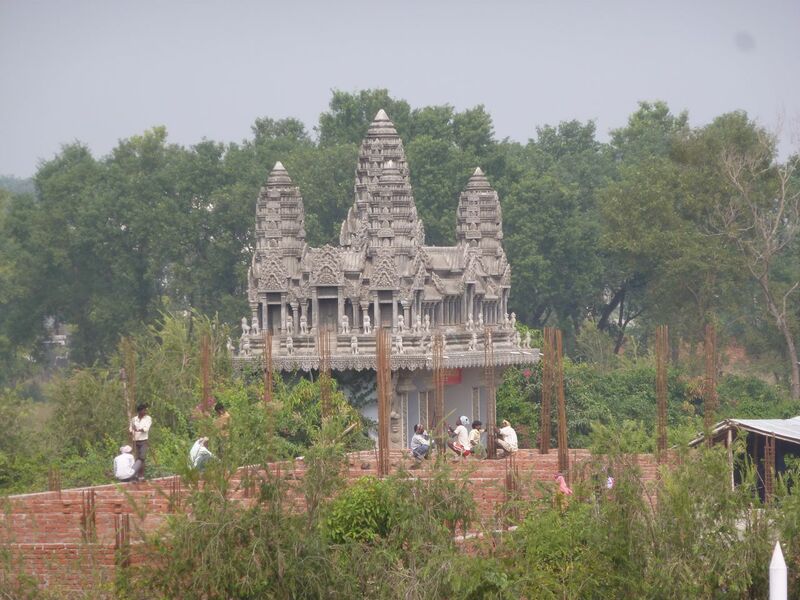 Yes Lumbini is a great place and its a pity that go most of tourists in the mountains or Chitwan only. I diden’t saw some visitors from europa or american in Lumbini. I was thinking about you, wondering if you had read Siddhartha because it’s written by a German writer. It’s a good book. I did see the Taj Mahal…omg, it was incredibly beautiful. But we had to take our shoes off before going inside, and I remember the marble being so hot. This was such a lovely post. 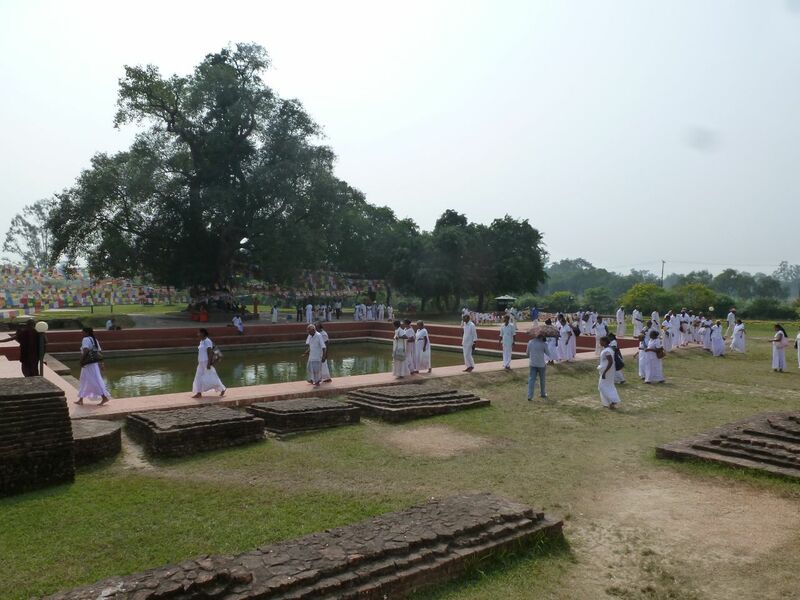 I am Buddhist myself and I have always wanted to visit Lumbini, to see the birth place of Lord Buddha. I thought Nepal had a large number of Buddhists because Lord Buddha was born there, but I do seem get mixed reviews. I have met Nepalese people who are Buddhist and Hindu and the ratios don’t seem to vary much. Do you think they are equal in number? I think the number of people who call themselves Hindu is much greater than the number who call themselves Buddhist. Wikipedia says it’s about 80% Hindu, 10% Buddhist. It’s also surprising to me that there aren’t more self-identifying Buddhists here, considering it’s the Buddha’s birthplace. However, I have heard a number of people say that their grandparents/great-grandparents were buddhist, but they consider themselves Hindu. So maybe there were more Buddhists in times past. The buddha was a brown Indo-Aryan. Indian buddhism went into ultra-pacifism and was destroyed by the muslim invaders in 1200AD. Whereas, the muslims never captured Nepal and buddhists survived there. Even in Nepal, Brahmin Hindus tend to be Indo-Aryan and Buddhists tend to be Oriental. Of course many castes and tribes are a blended mix. interesting post, zoe. and i love your photos! Your description of Lumbini reminds me of Sarnath (where the Buddha started preaching) and Bodh Gaya (where the Buddha gained enlightenment)… where many nations with large Buddhist populations had temples designed in their own cultural style. P’s mom considers herself Buddhist, even though she also worships Hindu gods and participates in Hindu festivals. Part of this is probably because she married into a Hindu Chettri family from a Buddhist Newar family, but I think in the city a lot of the Hindu/Buddhist lines are very blurred. However when you go up in the hills and mountains its hard to deny that Buddhism has an influence on the local people. You see prayer wheels, Tibetan prayer inscriptions on large boulders, stupas and monasteries everywhere instead of Hindu temples. A friend of ours in the US is originally from the Rai hill community in Nepal, and he has been influenced by recent trends of indigenous groups not partaking in holidays or traditions that were not originally part of their culture–like red tikka, or slaughtering a goat and celebrating Dashain. I remember once he told me a story about how his grandfather’s grandfather’s community was forced by representatives of the king to show proof of slaughtering a goat for Dashain so that they proved their “Hindu-ness” even though they really followed a more animist type of local religion. I’d love to learn more about the topic. I might have to sit down and pick his brain sometime, but now his wife is in the US and she is rather religious (Hindu) and I think he has had to tone down his activism. Yeah, lines in the city do seems to be less clear…And things are definitely more overtly Buddhist in the hills and mountains. I was surprised, though when I went to a Sherpa Tamang village. Most of the ppl considered themselves Buddhist but also practiced some form of Dashain, including diusibhailo and giving tika. I don’t know how much they practice other holidays…I was there around Dashain, that’s why it came up.